The sunkissed tropical days, sparkling turquoise sea, and spectacular stargazing can tempt anyone to St. Martin—but the unpretentious luxury that guests return for year after year is signature L'Esplanade. Sweeping, panoramic ocean views, gorgeous Mediterranean architecture, lush gardens and impeccable attention to detail paired with a uniquely un-touristy Caribbean experience draws repeat visitors from all over the world. Find out for yourself why TripAdvisor hails L'Esplanade as one of the Caribbean's "Best Hidden Gems" and names it in the top 25 hotels in all of the Caribbean. The idyllic location, luxurious rooms and dedication to customer service at Hotel L'Esplanade have earned it many awards. The Caribbean Journal named it one of the Caribbean's Best Luxury Boutique Hotels and TripAdvisor Traveller's Choice Awards classed it as one of the 25 best hotels in the Caribbean. Hotel L'Esplanade has been owned and operated by the Petrelluzzi family since it was built in 1992. The concept was simple, and hasn't changed: a beautiful hotel built in the perfect location. The hotel is designed to provide absolute relaxation, an authentic Caribbean experience and genuine hospitality. Kristin and Marc Petrelluzzi arrived to visit Marc's parents almost twenty years ago and never left. Their vacation turned into the beginning of a new life on the island. Under their care, L'Esplanade has thrived, reflecting their passion, vision and perfectionism. Today, L'Esplanade is as beautiful as ever: 24 immaculately-maintained rooms tucked away in a hillside oasis. Kristin and Marc are still there every day sharing their genuine warmth and looking for new ways to make paradise just a little bit better, like the newly-opened Ti Spa. Every week, long-time guests arrive and settle back into their home away from home. Like the sunset overlooking Grand Case Bay, some things never get old. Set into the hillside with unparalleled views of Grand Case Bay, every room in the L'Esplanade collection features glowing hand-crafted Brazilian woodwork, Balinese furniture, and rich French fabrics that embody effortless tropical luxe. Premium imported linens and king-size Celestial Beds make the nights as sumptuously rejuvenating as the days. Each of the 24 spacious, immaculately maintained accommodations offers a private terrace overlooking the aquamarine sea, where evenings begin with a brilliant sunset and melt into a breathtaking starscape. Searching for some Caribbean zen? Your quest is officially over. Ti Spa and Ti Temple, both located on the Hotel L'Esplanade grounds, will bring your mind, body and spirit into balance. 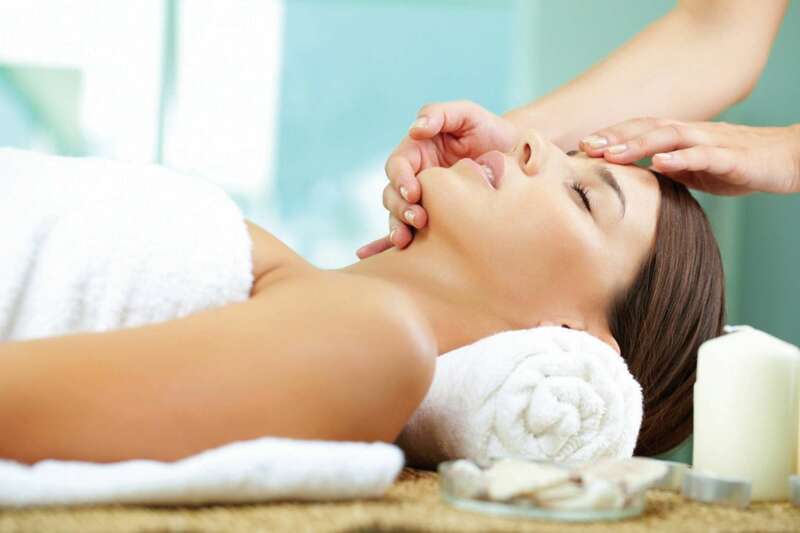 Ti Spa offers a full range of massage and personal care treatments. Ti Temple offers complimentary yoga classes for L'Esplanade guests, including both morning and evening sessions. Check out the Spa Menu and book your massage or treatment at any time before or during your stay. Guests are welcome at any and all Ti Temple classes with no need to reserve. Visit the Ti Temple page for the current schedule.